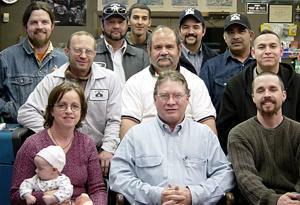 Alamo Welding Supply Co., Inc., of Austin is a family-owned business that has been under current ownership since 1962. We sell industrial welding gases, arc welding equipment, oxy/fuel cutting, brazing and welding equipment, mig, tig, plasma machines, accessories and consumables, safety and protective equipment and clothing, hand and power tools, abrasives, repair parts and hydrostatic testing. We offer prompt Austin-area delivery, and give student discounts on most items. U.P.S., U.S.P.S., Fed-Ex and drop-shipping is also available. We accept all major credit cards for your convenience. We are certified by the State of Texas as a Hub-Vendor, and are members in good standing in the following organizations: B.B.B., Chamber of Commerce, American Welding Society, and G.A.W.D.A. Choose us for all your welding supply needs.